As you now know, we are expecting our first major winter storm of 2019 beginning this evening. Over the last several days we have been in constant contact with the Massachusetts Emergency Management Agency and the National Weather Service. Based on this information, we believe we may experience scattered to numerous power outages due to ice accumulation. Ice, combine with high wind gusts, may cause numerous and long term power outages. Therefore, we urge everyone to make preparations for the possibility of power outage at your home. Also, please note that the Town's Transfer Station will be closed on Sunday and a Parking Ban will be in effect as of 10 PM on tonight. We will keep you updated with emergency information as the situation warrants. 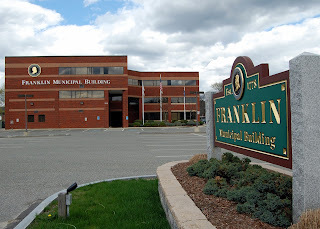 You can also find emergency information by visiting the Town's web site at www.franklinma.gov. Thank you and have a safe and warm weekend.